The first built production Eurocopter EC120 B is airframe c/n 1005. When the aircraft flew first on 5 December 1997, Eurocopter France used test registration F-WWPL. On 23 January 1998, the Colibri was delivered to Japan and registered JA120B with Nosaki Sangyo on 17 April 1998. In May 1999, the registration N62HC was assigned but not taken up. The JA120B was transferred to Motokazu Sayama. On 2 October 2001, the registration JA120B was cancelled. The Colibri was registered ZK-HKE in New Zealand with Helicharter on 2 November 2001. The ZK-registration was cancelled as exported on 25 January 2005. 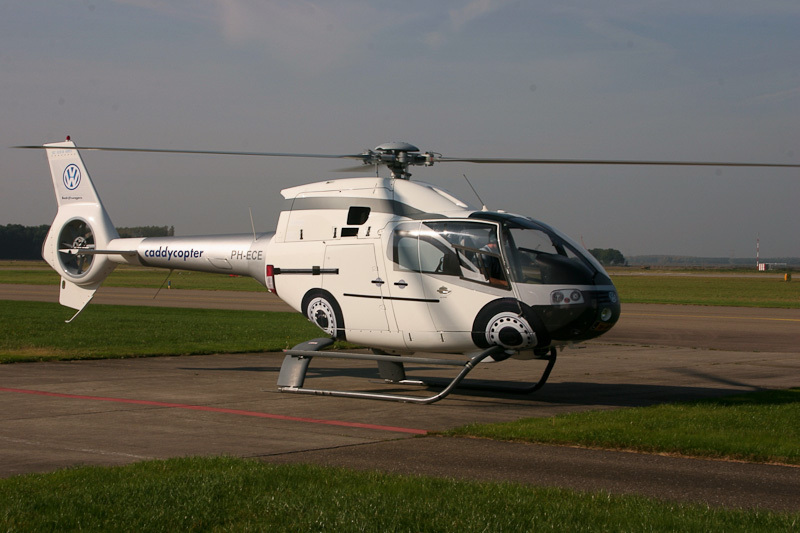 On 7 March 2005, the helicopter arrived on delivery at the Heli-Holland heliport near Emmen in the Netherlands. The Colibri was registered PH-ECE in the Netherlands with Heli Holland Holding BV, Emmer-Compascuum, on 9 June 2005. The helicopter is operated by Heli-Holland since. In October 2005, the PH‑ECE flew one week in special "caddycopter" colours. Part of these colors was the VW-front of the Colibri with the NL number-plate '16-BP-RK'. In autumn of 2008, the PH-ECE was painted in the new Heli Holland colours. In autumn of 2008, the PH-ECE was painted in the new Heli Holland colours.